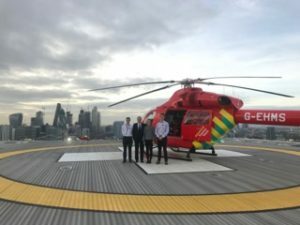 The Beaverbrook Foundation provided vital seed funding to enable London’s Air Ambulance to create the Institute of Pre-Hospital Care at London’s Air Ambulance, ‘The Institute’. 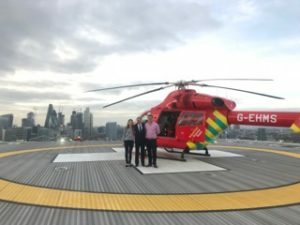 The Institute of Pre-Hospital Care at London’s Air Ambulance was founded in 2013, its mission is to drive excellence in pre-hospital care standards and practice through research, innovation and education; and by fostering collaboration across medical disciplines and institutions dedicated to improving outcomes for people afflicted by critical injury and illness. 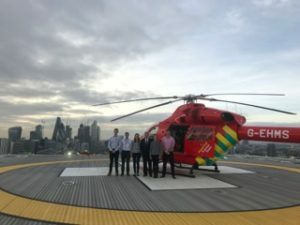 Following the initial seed funding The Beaverbrook Foundation continued to support The Institute to create the next generation of trauma experts by providing scholarships to students enrolled on the Intercalated BSc in Pre-Hospital Medicine that is run in partnership with Queen Mary University of London. The Beaverbrook Scholarship Programme covers the full cost of The iBSc tuition fees for the duration of the academic programme and provides additional financial support for the scholars to attend international or national conferences related to their studies. 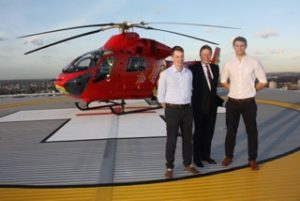 To date seven exceptional students have been awarded the scholarship, all of whom have gone on to achieve excellent results in the BSc.